19. 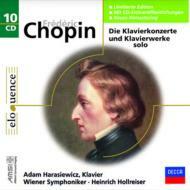 Chopin, Frederic - Polonaise No.10 In F Minor, Op. 20. Waltz No.15 In E, Op.posth. 2. 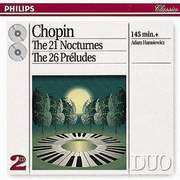 Chopin, Frederic - Polonaise In B Flat, Op.posth. 3. Chopin, Frederic - Polonaise In A Flat, Op.posth. 4. Polonaise In G Sharp Minor, Op.posth. 7. Chopin, Frederic - Polonaise In G Flat, Op.posth. 38. Prelude No.26 In A Flat, Op.posth. 1. Chopin, Frederic - Impromptu No.1 In A Flat, Op. 1. Waltz No.17 In E Flat, Op.posth.